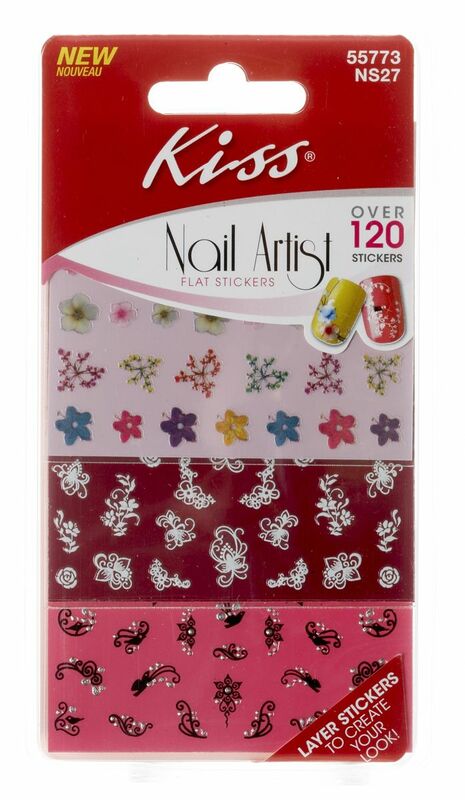 There are plenty of great kits that you can buy in the drugstore that allow you to make your own nail art. However, if you’re not artistically inclined or just don’t have a steady hand to do it, you can try Kiss Nail Artist Nail Art. We really liked the Expressionism set, in particular the black ones with the rhinestones. They are basically stickers that you place on your nails, and it looks like you went to the salon and got nail art. We really liked that besides the design the stickers were clear so you really can’t tell that your designs aren’t painted on. This is a pretty goof proof product and is easy to use. To apply, we suggest only putting designs on a few nails per hand for a more simplistic look. If you like O.P.I’s shatter, you’ll really like Sally Hansen’s Crackle Overcoat as well. It’s less expensive, and it comes in 8 shades. The crackle overcoat is a nail polish that separates upon application, revealing the shade of nail polish you put underneath. Our favorite combination was the black crackle over white nail polish. You only need one coat of Crackle, and it dries in 60 seconds. We also used Crackle with Sally Hansen’s Double Duty Strengthening Base & Top Coat, it made our manicure last forever! Every nail will have its own unique mosaic pattern. To see what Crackle looks like watch the video here. While press on nails are never going to stick to nails the way acrylics do, Kiss has certainly come close. We tried their Everlasting French Better Than Salon nail kit and were really impressed by the quality. It really looked like a salon job, replete with fun designs on each nail. This product claims to last for seven days and we got 8 days of wear with only one nail coming off. Fortunately, they give 28 nails in each kit so we easily replaced the nail. This is a great product for special occasions. 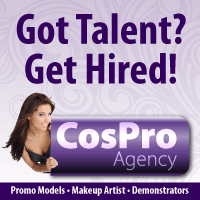 Going to the salon to get fills for acrylic nails on a consistent basis can get expensive and time consuming. Just putting on the Kiss nails seems more practical. The downside is if you keep the nails on for longer than 7 days they don’t look as great as when you first apply them. 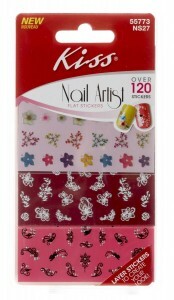 For more available nail designs, go to http://www.kissusa.com/621/Products. Broadway Nails has a neat line of nail stickers that look like the intricate designs you would get at a salon. 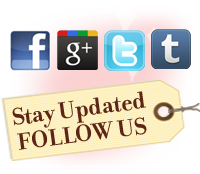 Since they are stickers, the great thing is you have no dry time and don’t have to worry about smudging your nails. However, you really need to take your time putting these on. 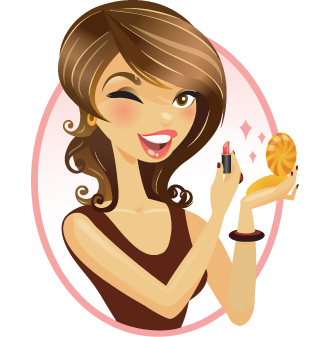 If applied incorrectly, the stickers can get bubbles or folds which ruins the nailpolish effect. We tried the wild pink leopard print design and loved how unique it looked. Unfortunately, this only gave a day of perfect looking wear (to be fair; this was tested short, thin nails). 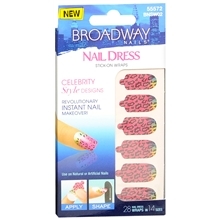 Next time we will use the tip from the Broadway Nails website, which is to use a clear coat over the stickers for extended wear.